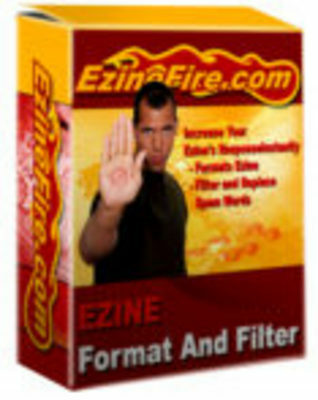 Your new Ezine Filter & Format software is super! No more worrying about using words that the filters eat up or problems with email displaying properly because I forgot to format a line correctly. This is real time saver. I especially like the filtering aspect because I hate trying to enter all those special characters in words that the filters hate. I also don't have to go online and use some of those other services available. I can do it all right on my desktop.